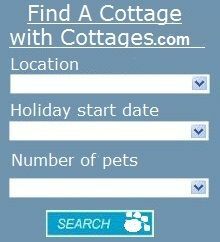 Pet Holiday Finder advertises accommodation that is pet friendly & dog friendly. 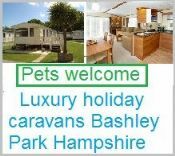 Here you will find B&B, Hotels, self catering cottages in Hampshire where pets are welcome, you never have to leave your dogs behind again. 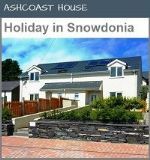 If you own a Dog, Cat, Horse or a small caged animal and you are looking for holidays, you have come to the right place. 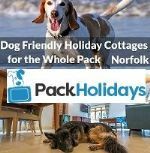 All of the Hampshire Holidays listed on pet holiday finder allows pets, so now you can have that perfect & peaceful dog friendly cottage in some of the most beautiful areas's of the South East. 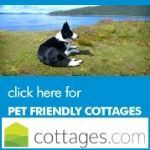 Pet friendly cottages are on the increase, this is great news for the pet owner. 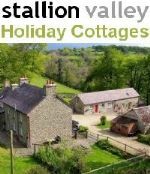 Self-Catering cottage - 1 bed, Sleeps 4. Marvelous views over sheep fields to the South Downs. 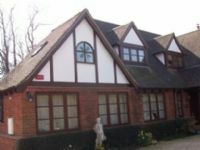 The chalet is well away from the road so is quiet and there is a safe parking space off the road. 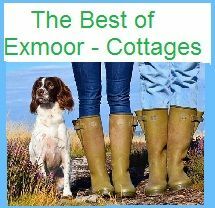 All year round accommodation perfect for exploring Hampshire with your dog. 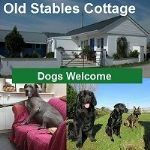 Dogs welcome, cats allowed. .
Static Caravans New Milton open February to the end of the year. 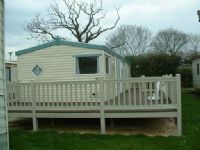 Sited on the 100 acre woodland British Tourist Board award winning Park of Hoburne Bashley. 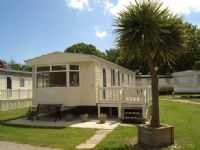 The park provides a tranquil setting close to the Forest and only a short drive to safe sandy beaches. 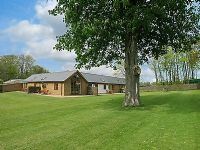 Best Features: Swimming Pool | Enclosed garden | dog friendly pub nearby. Broad Lane, Lymington, Hampshire. 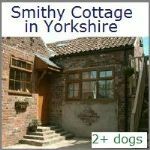 Our B&B is perfect for families with young children and pets. 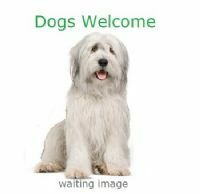 We are children and pet friendly and have a fully secure garden so you can relax whilst the little ones play. We have two bedrooms available. dog, cat, small animal allowed. Peaceful, picturesque 18th C Manor House situated close to the New Forest National Park. Hearty breakfasts and comfy beds for both owners and pets. 20 bedrooms. The most prestigious New Forest family Country House Hotel in large gardens, noted for fine personal service, accommodation and traditional English cuisine at its best. 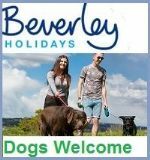 All of our ground floor terrace rooms can occupy dogs. Please contact us in advance to guarantee availability. Stanwell House is situated in the heart of Lymington, ideally positioned minutes from the quay. Located on the edge of the New Forest in Hampshire, Stanwell House is the perfect choice for a relaxing escape to the country.